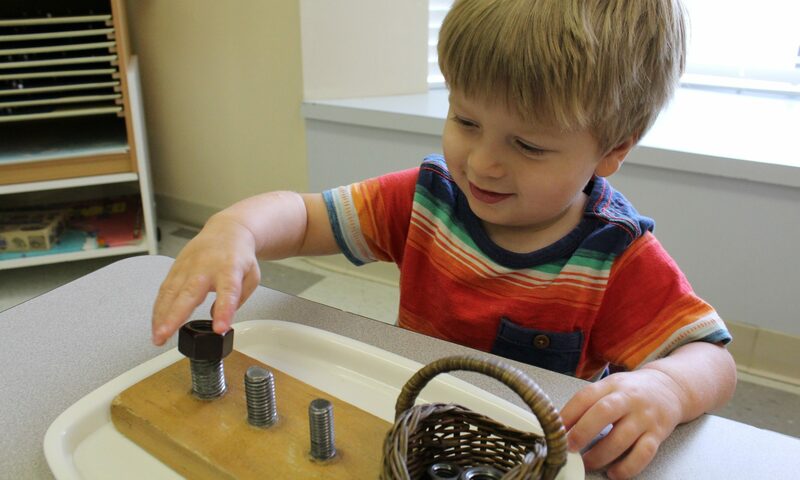 The Montessori Kindergarten Capstone is the final year at Montessori Preschool and rigorously prepares students in reading, writing, math, science, and cultural studies in preparation for Grade 1. Students who turn 5 after September 1 are eligible to participate in the Kindergarten capstone. Students learn to be leaders in the classroom and the larger school community. They lead special initiatives in school and practice their academic skills through project-based learning. Kindergartners also participate in our Master Classes, a series of curated coursework in art, music, and Spanish, and they can explore their interests through an array of extracurricular activities on campus. Our students transition into Gifted and Talented programs and others skip grades. Children go to traditional public school and successfully compete to earn admission to private schools across Houston, including Kinkaid, Awty International, The Village School, the British School, Harmony Charter Schools, Post Oak School, School of the Woods, Cypress Christian School, Christ the Redeemer Catholic School and other nearby Christian and Charter schools. The term Bridge describes a year of intense academic preparation for Kindergarten in a public, private, or charter school. Several daycare, learning centers, and church preschools coordinate Bridge programs, with an emphasis on sight words and basic math using pre-existing curricula (usually with little evidence of effectiveness). While Bridge programs may be considered a cost-effective option for parents, students miss out on developing fundamental socio-emotional skills and foundational skills that lead to success in reading, writing, and math. We strongly recommend starting children in a Montessori program by age 3. We offer a limited number of spots per year for parents looking for intense preparation for Kindergarten. Admission is on a case-by-case basis after a qualitative assessment. Students admitted to the program begin class on August 1. Programs are offered from 8:30 – 2:30 PM (Full Day Montessori) or 6:30 – 6:30 PM (Full Day Montessori and Extended Care) for working families. Programs are five days a week.